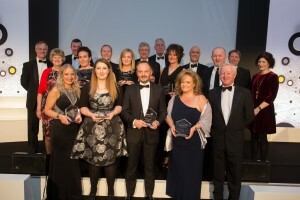 Front row: Claire Hughes, Ashtons Legal; Danielle Collett-Bruce, Hart Brown; Derek Rodgers, Gardner Leader LLP; Colleen Gostick, Buckles Solicitors LLP; Chris Marston, LawNet. The combined income of the firms comprising LawNet is currently in excess of £250m – equivalent to a UK Top 15 law firm – with members ranging from £2m to £20m turnover. Independent research shows LawNet is most highly valued by members for delivering in six key areas – learning, networking, PII, practice development, marketing, compliance. It currently places over £1bn worth of PI cover alone for members each year, which helps stabilise premiums for firms.